One of the smartest things you can do as a Maine homeowner is to create your own Maine Homeowner’s Checklist. By doing this—and performing the actions on your list—you’ll be maximizing the odds that your house and property will steadily increase in value through the years. The best way to create your Maine Homeowner’s Checklist is to write every to-do item down, with everything organized by season of the year. In this way, you’ll create an orderly, user-friendly checklist you can easily reference each season. Perform a comprehensive inspection of your home’s exterior, noting anything that must be addressed. Make sure all air-conditioning units are ready. Fertilize your lawn and make sure sprinklers are ready. Have any working chimneys professionally cleaned. Check (and repair, if necessary) window screens. Switch ceiling fans so blades circulate counter-clockwise to create a breeze. Clean, organize, and declutter your garage. Power-wash your deck or patio. Open your foundation’s exterior crawl-space vents. Paint (and repair, if necessary) fences. Remove and store window air-conditioning units. Have your heating system serviced before cold temperatures arrive. Inspect the roof for cracks or damage. Check weather-stripping on windows and doors. Make sure your snowblower, snow shovels, and sand/salt mixtures all are ready. Disconnect sprinklers, drain and store hoses, and shut off valves to outdoor faucets. Cover and store outdoor furniture and grills (but keep propane tanks outside, such as covered on a deck or porch). Change or clean furnace filters. Place your snowblower, snow shovels, and sand/salt mixtures in places where they’ll be easily accessible. Close your foundation’s exterior crawl-space vents. Every 6 months, check and change batteries in your smoke and CO2 detectors. Every 2 months, inspect your fire extinguisher and make sure it is easily accessible. Create and properly maintain an Emergency Preparedness Kit, which should include a flashlight, extra batteries, radio, first aid kit, and extra cash. Being a Maine homeowner requires that you be responsible toward your property and take steps necessary to maintain and enhance its value. 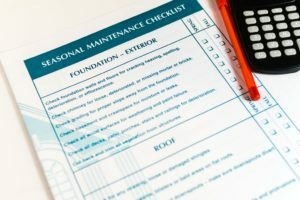 With a Maine Homeowner’s Checklist in hand, your comprehensive, year-round process will be a lot easier to understand and to manage step-by-step. Use the information above to create yours soon! Maine Source Homes & Realty is dedicated to helping you find your perfect homeownership solution. 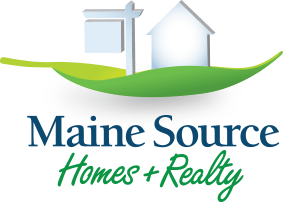 Whether you wish to buy, sell, or build a home, Maine Source Homes & Realty invites you to benefit from our 47 years of trustworthy experience and expertise.